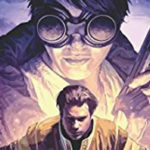 Hey all I’m back with the fourth entry of a series I’ve been covering in my Bookish Wednesday columns, but finally was able to get through my connections to Audible. 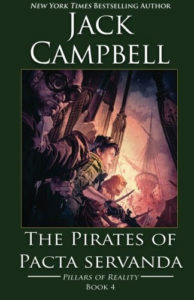 It’s The Pirates of Pacta Servanda, Book 04 of the Pillars of Reality series, by Jack Campbell! Plot Synopsis: Master Mechanic Mari and Mage Alain have survived every attempt to stop them, but their enemies are determined to kill Mari, the only one who can save her world from a storm of destruction. As armies begin to gather and cities seethe with tension, Mari, Alain, and their friends must prepare to confront the storm in the place it first appeared: the broken kingdom of Tiae. Plot: I really enjoyed this entry of the series because it finally adds more than just Mari and Alain to the traveling party and we can move past their relationship with each other, and focus on the other big plot thread of the series. That isn’t to say I didn’t enjoy the previous entries because it was focused on Mari and Alain, far from it, but after the end of the third book they aren’t alone anymore and so they’re relationship isn’t such a big focus. 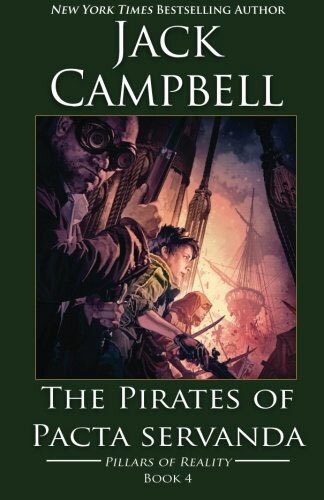 There plenty of action scenes and frankly this was so enthralling a book that I spent time I normally would on some other project of mine just to enjoy the story more. Frankly I can’t wait to listen to the last two books in the series, thankfully they are already out so I’ll be doing reviews for them every other week from now on until I’ve covered the last entry. 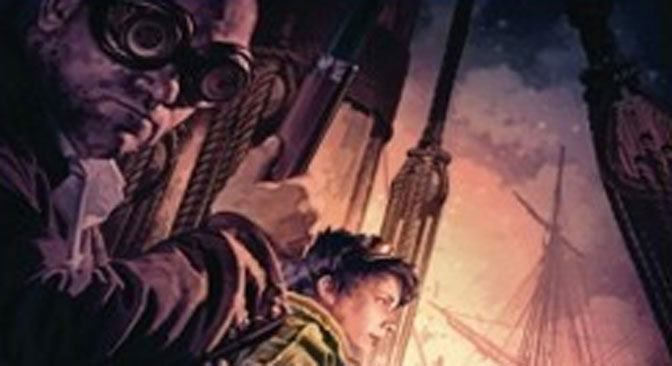 Pick up The Pirates of Pacta Servanda, Book 04 of the Pillars of Reality series, right now from Amazon! Characters: Like I said above, Mari and Alain aren’t alone anymore so we get to see Mari grow into who she has to be in order to help free the people of Dematr from the rule under the two Great Guilds, the Mage and Mechanics. Of the newcomers I really enjoy Mage Dav, and Mechanic Dav. Yes same name, although two very different characters. Hiro and Alera were also pretty interesting, and in fact out of the four I just named Alera would be my favorite one. But I won’t spoil the why, I will say it’s more due to the nature of her abilites than it is about her personality. Voicework: MacLeod Andrews is the narrator of the Pillars of Reality series, and if you’ve been reading my other book reviews for GiN, this shouldn’t be a unfamiliar name. 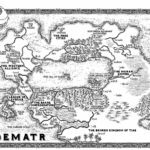 He did an excellent job on The Reckoners series by Brandon Sanderson and did just as stellar a job here with the Pillars of Reality series. 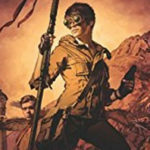 Overall: If you want an epic adventure that could be put in any or all of the genres of Science Fiction, Steampunk and Fantasy, you won’t go wrong with the Pillars of Reality series and the Pirates of Pacta Servanda is an excellent reaffirmation of that fact. 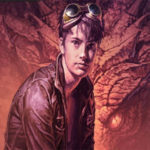 For those who like: Action, Adventure, Romance, Drama, Sci-Fi, Fantasy, Steampunk, Excellent Plot, Fantastic Cast of Characters. Not for those who don’t like: Any of the above, but how could you hate all that?